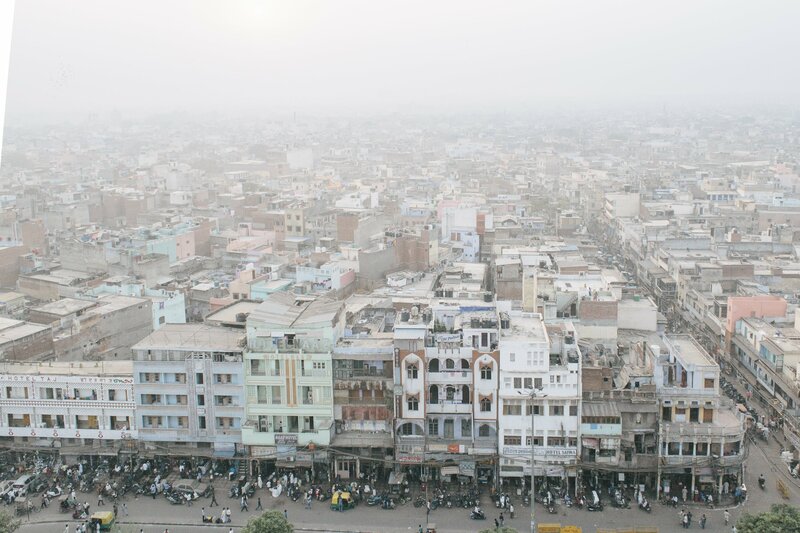 The city of Delhi is choking, and there’s no end—or much else—in sight. Although residents of the Indian capital are used to polluted air, particularly in the cooler months, when people light their stoves for heat, this winter it reached a level that stunned even Delhiites. In November, after six days of heavy smog smothered the city, the Indian government declared an emergency, temporarily closing schools, construction sites and coal-fired power stations. The hashtag #MyRightToBreathe trended on Twitter, as citizens called for more government action. Quietly, Delhi has surpassed the place we all think of as “smog city”—Beijing. During some days in 2016, the concentration of particles in the air was so high that it was above the measurement limit of some instruments. A recent study from the Health Effects Institute found the number of premature deaths caused by pollution in India has risen by 150 percent over the last 25 years, and according to a 2015 study by the Chittaranjan National Cancer Institute, 4.4 million of Delhi’s schoolchildren have reduced lung capacity and will never recover full use of their lungs. Nearly a third of Delhi’s pollution is caused by vehicle exhaust from diesel engines, and the rest by road dust or burning biomass in stoves that heat homes. Landfills in Delhi, which act as a substitute for trash disposal, are struggling to deal with the 8,000 tons of waste generated by the city’s 19 million residents each day. Landfills smolder day and night as debris burns, releasing toxic smoke. For his project, Rabehi snuck into the 70-acre Ghazipur landfill on the back of a truck after being denied access by authorities. He also wanted to capture the effects on the city’s most vital water source, the Yamuna River, a branch of the Ganges that runs through Delhi’s center and is the most polluted waterway in India. Bodies are frequently cremated on the banks of the river, and mourners throw the ashes into the water, along with scarves and plastic offerings—despite signs imploring citizens not to throw anything in. His photographs show the river lined with thick white and blue chemical foam, like the remnants of a giant bubble bath, with plastic and trash floating down it. Although the government introduced measures in November to cut pollution, including sprinkling water on dusty roads and prohibiting the burning of leaves, the death toll will continue to grow rapidly. Every minute, air pollution kills two people in India, as residents choke on the air they breathe.